Since beginning operations the late 1990’s, Inertech, Inc. has become one of the leaders in innovative new technologies and products for Expanded PTFE for the gasketing and sealing industry. Today’s processing plants are dynamic and require constant updating of products in order to provide them with effective, safe and dependable gasketing for the prevention of leakage of toxic chemicals and gases within the plant environments. Stringent new EPA regulations demand the least amount of leakage and emissions possible. In recent testing utilizing newly established test methods soon to become industry standards through ASTM and ASME, INERTEX® products were found to be the tightest gasket materials tested amongst 27 of the most popular expanded ptfe based gasketing products in the market. 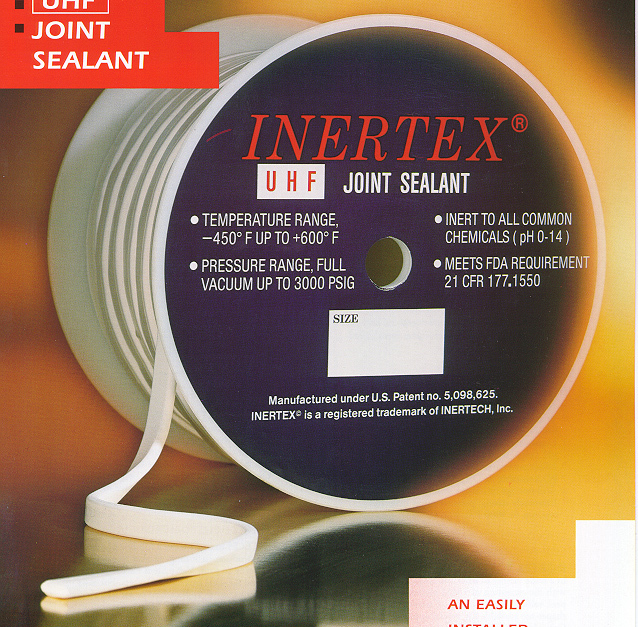 Today, INERTEX® has become the one material to provide the most complete, leak-free, and dependable sealing system available to control fugitive flange emissions in the gasketed joints. From our basic patented processes with the core group of Expanded PTFE gasketing products, Inertech, Inc. has introduced several new products. Inertech, Inc.is dedicated to bringing the market the products necessary to meet today’s requirements as well as those for the future. The Selco Steel Trap Metal/Graphite Gasket is manufactured with concentric, isolated convolutions in sheet stainless steel that trap pure graphite against the flange face. As the flange is tightened, the convolutions are progressively flattened, thus trapping the graphite sealing media. Not only is a highly effective seal effected against both faces of the flange, but the graphite is protected against oxidizing atmospheres and corrosives. Steel Trap gaskets can remain in place and will continue to seal effectively until removal is necessary for equipment servicing or repair. These seals pay for themselves many times over in reduced maintenance and downtime. 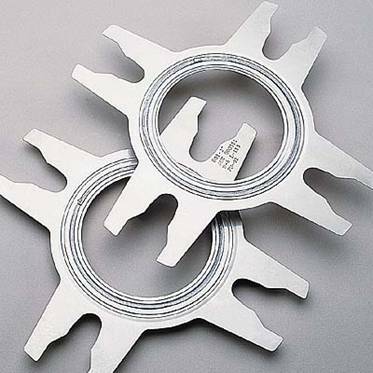 The unique, self-locating design allows the same size gasket to be used in the vast majority of flange pressure classes. This results in unmatched time savings in locating the right gasket, while reducing inventory and virtually eliminating the chance of incorrect gasket selection. Ability to cope against severe thermal cycling and vibration. Fire, Blow Out and Leak proof.